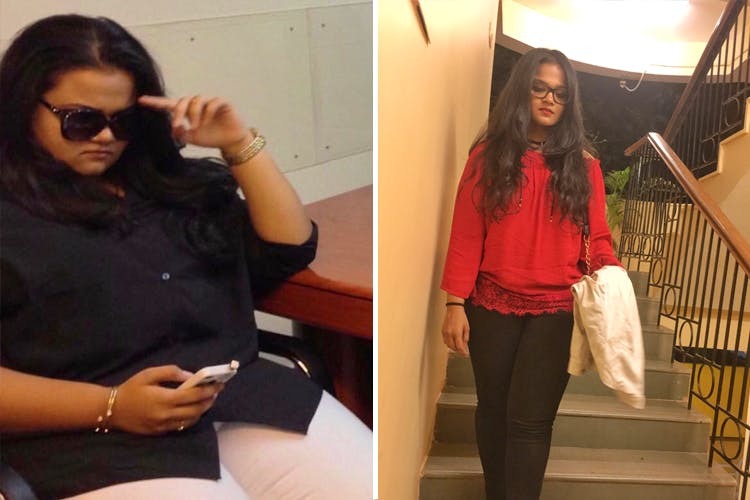 From once weighing a 115.5 kg to losing 40 kg of weight, YouTuber Reshma Badi tell us her weight transformation story. She had been, like many of us, been trying to lose weight for the longest time and not quite finding one regime that stuck. Then after following a YouTube channel called Weight Loss Transformation by Chris Powell, and studying nutrition more closely, she understood that it’s a combination of both eating right and working out a lot that works in the long run – you can’t be lazy with either. At home, she wouldn’t have a particularly restrictive diet but would eat mostly three big, healthy meals and a protein shake. She would keep mostly low carb days and have more raw veggies, chicken, tofu, paneer and keema and once in a rare while, choose roti and rice for a high carb day. You can check her Youtube channel for more fitness and health inspiration here. She weight trains and does cardio at the Talwalkars gym, and especially advises taking up heavy lifting especially when you’re losing weight rapidly as it tightens the skin. Reshma also recommends to just get out there and get in touch with nature. To use whatever steps are around, run in the nearest park and this will also work on your mental wellness. She loved having Subway most of the time she did eat outside, though of course while going easy on the dressing. She loves for to Bellpeppers in Nerul for their wholewheat waffles which are free of both sugar and guilt. She also orders in chicken starters from Tava in Kharghar. You can also try the Salad Café and Walnut Bar if you’re around Vashi. Her favourite cheat eat is Nutella. And of course, pizza. Pizza is always bae.